On Wednesday, October 24, 2018, Fr. Tony Van Hee S.J. was arrested and charged while praying peacefully and holding up signs about free speech across the street from the Morgentaler Abortuary. 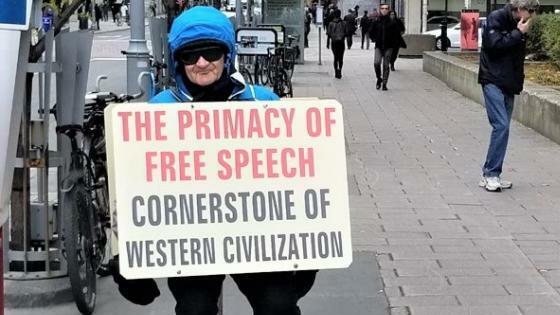 The signs read: “The Primacy of Free Speech: Cornerstone of Western Civilization” and “Without Free Speech The State is a Corpse”. Fr. Tony has been charged with intimidating or attempting to intimidate people going to the abortion center under Ontario’s totalitarian abortion bubble zone law, even though he wasn’t advocating against abortion. When speaking to media, Fr. Tony said “I will fight it on my own and if they fine me, I will not pay it and go to jail…If they jail me, I will fast." Join us in making sure that Fr. Tony DOES NOT FIGHT ALONE! For more than 28 years, Fr. Tony has been a prayerful and powerful pro-life presence on Parliament Hill, praying and fasting for an end to abortion. Over the years, he has been jeered and heckled, parliamentarians have tried to silence him, his signs and property have been vandalized, and he was even harassed by a Member of Parliament who was offended by the truth Fr. Tony was presenting. Not only do we admire him, we have promised to help him. Please consider donating to help Fr. Tony with his legal and other fees. NOTE: All donations will be sent to Fr. Tony. 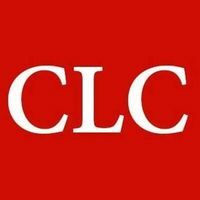 Campaign Life Coalition has set up this crowdfunding page on his behalf.